Webicom Review 2019: Is Webicom a Good Hosting? Based in Slovenia, WebiCom is a small IT company that deals in web hosting, domain registration, colocation services, web design, and data processing. It owns a private data center with powerful servers and provides satisfactory customer support services. Founded in 2003, WebiCom is a Slovenia-based hosting service that provides affordable web hosting and IT services along with web design solutions and colocation services for businesses and individuals. The company’s hosting packages are affordable and it’s customer support fast and friendly. WebiCom operates a modern data center facility, which contains top-of-the-line servers powered by Intel Xeon and connected to SSD storage. The facility is backed by both UPS and diesel-powered standby generators to ensure maximum availability. Designed for speed and performance, its servers can handle a significant workload. Building a website from scratch is a daunting task. WebiCom takes away the hassle by giving customers access to the Super Site Man builder, which comes with a user-friendly drag-and-drop interface. No coding knowledge or experience is required and on top of that, the tool comes with nice customization options. Besides monitoring servers 24/7, WebiCom has gone a step further to provide DDoS protection to all its customers. Free SSL certificates and antivirus protection are available at the user level for customers who want to create the first line of defense, and daily remote backups ensure your business data remains safe and accessible. With all of these security measures in place, you have little to worry about cyber-attacks or espionage or data loss. WebiCom’s shared hosting packages are also CMS optimized for the most popular scripts such as WordPress, Drupal, and Joomla among many others. Using Softaculous app installer, you can deploy a CMS of your choice quickly and customize it. And since the packages are SEO optimized too, you don’t have to worry about your page rankings because your website will top Google Search results. 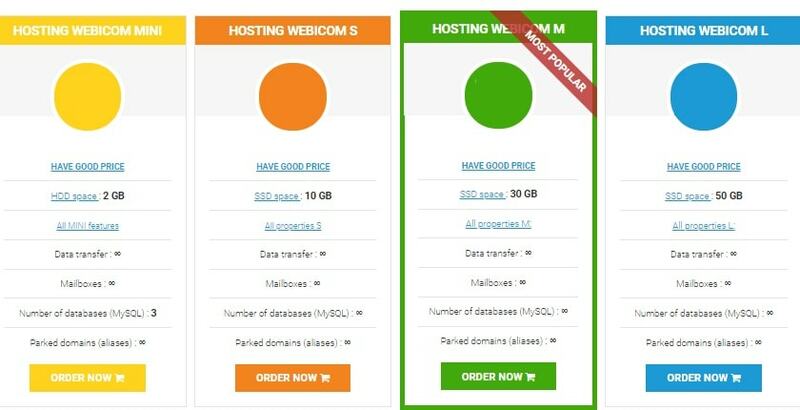 I couldn’t be happier with WebiCom’s hosting prices as they’re not only affordable but they also come with many nice features including unlimited options. It’s quite easy to upgrade from the starter Hosting WebiCom mini package to any of the higher level plans. When you order the annual, two-year, or three-year hosting plans, you can pay via PayPal, bank transfer, or credit card. Customers have 15 days to try out hosting services before they commit their money. Support is available 24/7, which is a plus, considering many hosting services aren’t truly 24-hour outfits. Behind the scenes is a friendly and helpful customer service team that can help you with domain transfers, server setup, and troubleshooting. Whether you call or open a ticket online, help is just a moment away. I also found a detailed knowledge base that can benefit beginners or anyone who wants to attempt to resolve hosting issues personally. 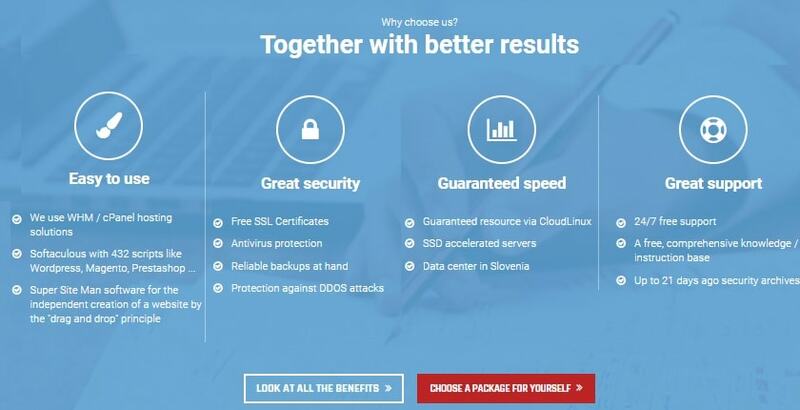 With local servers and unparalleled customer support, WebiCom is a good choice for customers looking for feature-rich web hosting or dedicated servers in Slovenia at fair prices. Wondering how Webicom stacks up against other Web Hosting companies? Enter any other Web Hosting company and we will give you a side-by-side comparison.